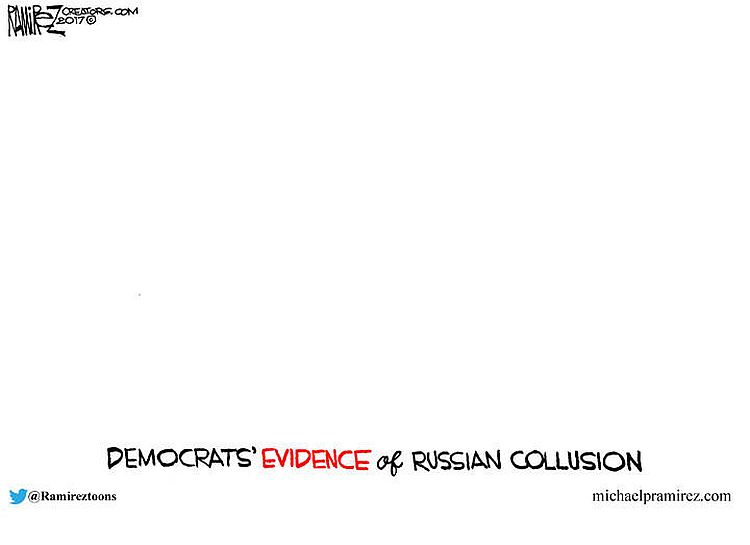 BOOM: Democrats' Evidence Of Russian Collusion FOUND! BOOM: Democrats’ Evidence Of Russian Collusion FOUND! But will they just make stuff up? Don’t think it’s impossible. Robert Gehl reports that the deck is stacked. Assembling his investigation team, the FBI’s appointed investigator into political Russian meddling in the 2016 election has appointed four top attorneys who have contributed tens of thousands of dollars to Democrats and Democratic causes. It’s so bad, that there are rumors that President Donald Trump is considering firing Mueller before he has even begun the investigation, according to The Hill. Justice Department Deputy Solicitor General Michael Dreeben donated in 2008 to a political action committee for then-Democratic presidential candidate Barack Obama, as well as a PAC for Hillary Clinton in 2006. Jeannie Rhee, who previously served as a deputy assistant attorney general and now works as a partner in the investigations practice at WilmerHale, donated to the Democratic National Committee as well as campaign PACs for Obama in 2008 and 2011, and Clinton’s campaign in 2015 and 2016. James Quarles, who worked as an assistant special prosecutor on the Watergate Special Prosecution Force and who also works as an attorney at WilmerHale, has a long record of donating to Democratic groups starting in 1987 for the PAC Dukakis for President. In 2016, he donated to Clinton’s PAC Hillary for America. And Andrew Weissman, who oversees fraud cases at the Justice Department, donated six times to PACs for Obama’s presidential campaign as well as the DNC in 2006. Former House Speaker Newt Gingrich smells a rat. Speaking on Laura Ingraham’s radio show, he said that it would be “delusional” to think the investigation would be fair. “This will be a witch hunt. I’ve started to go back and peel back the onion,” Gingrich said. Of course, this isn’t raising any concerns within the media. On CNN, the network’s chief congressional correspondent dismissed the clear bias. Anchor John King asked if the connections should be a concern. Chris Ruddy, a Trump friend and CEO of NewsMax said Trump is considering firing Mueller.